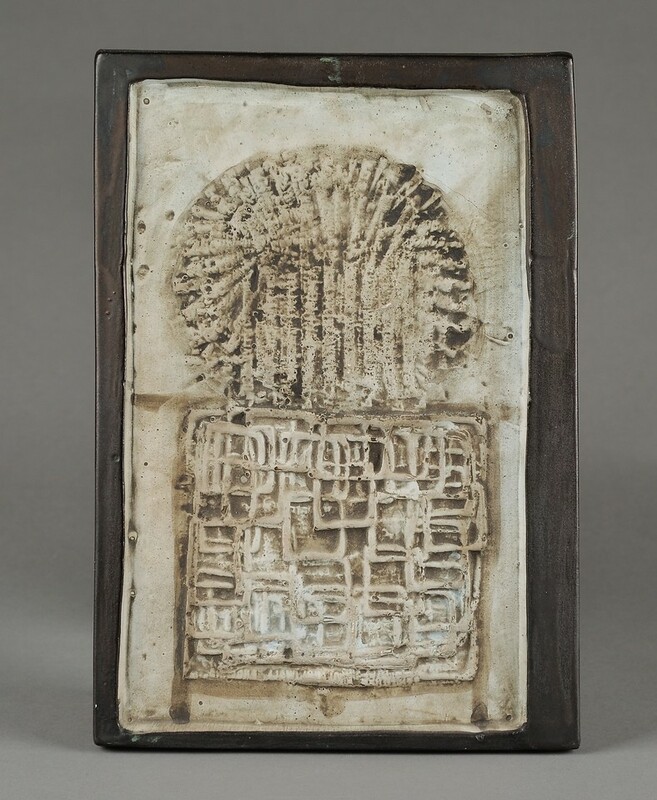 This stove plaque was most likely decorated by Stella Benjamin between 1963 and 1967. The plaque is 7.75 inches tall by 5.3 inches wide (19.7cm by 13.5cm). 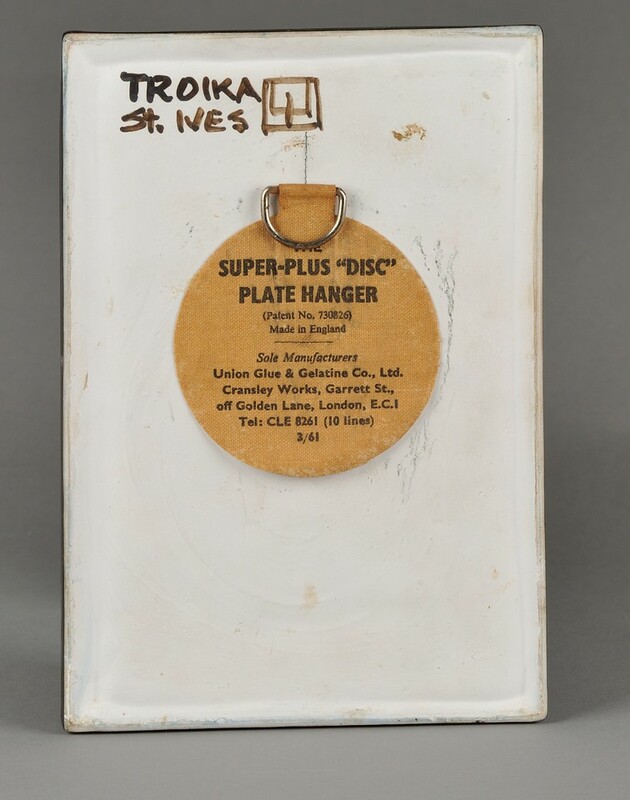 It has its original paper hanger.